In the sea of weight loss and diet products that exist in grocery aisles, Slim Secrets stands as a healthy snacking alternative that aims to support its customers’ wellness goals. With products like protein bars, shakes, and pudding, Slim Secrets is dedicated to offering nutritionally balanced snacks that are great tasting and good for you. 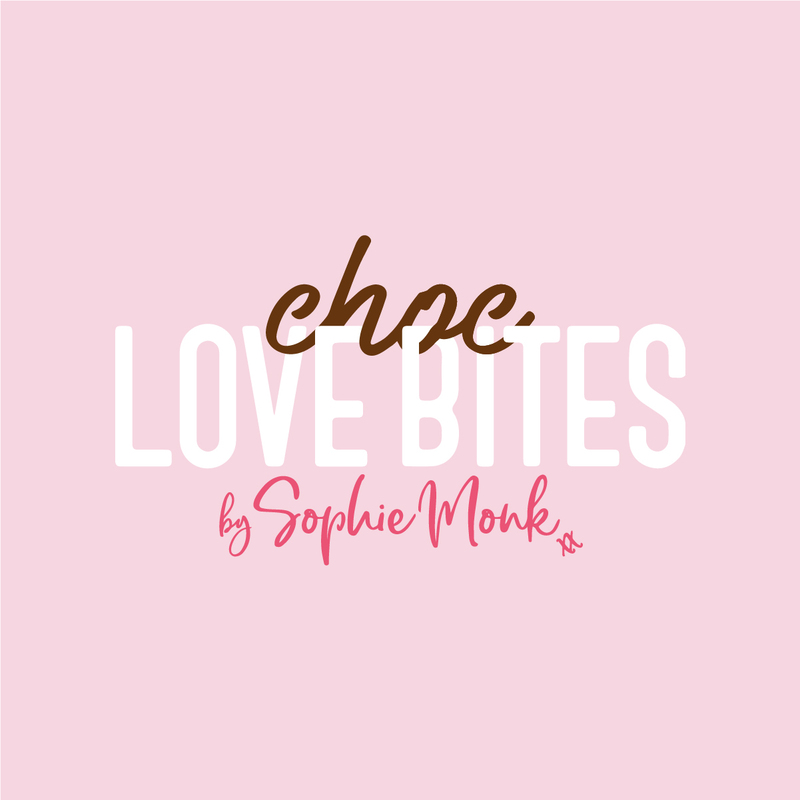 Slim Secrets collaborated with Sophie Monk to create Choc Love Bites By Sophie Monk, a delicious range of milk and dark chocolate that is low carb, gluten free, and best of all, contains no added sugar. 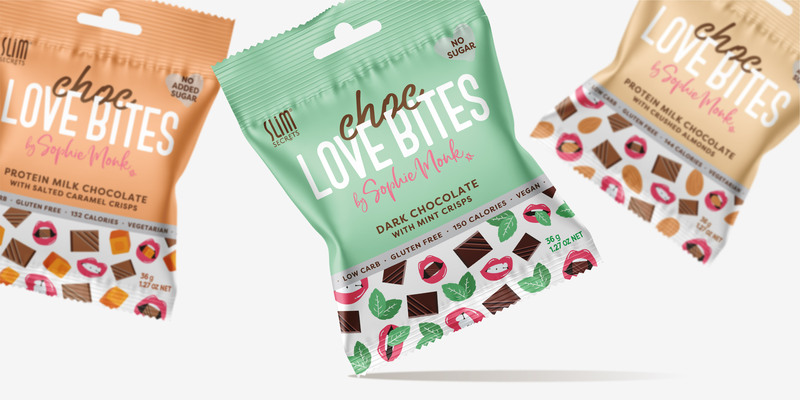 The challenge was to bring Sophie’s cheeky personality to life while still retaining the look and feel of the Slim Secrets brand and ensuring the health benefits were clearly communicated on the front of pack. We brought Sophie’s personality to life with fun and modern illustrations that feature her lips in playful poses. The script typeface chosen for “by Sophie Monk” also delivers a personal touch. The vibrant colours achieve fantastic shelf standout and great flavour differentiation, while the metallic silver draws attention to the product claims and benefits. 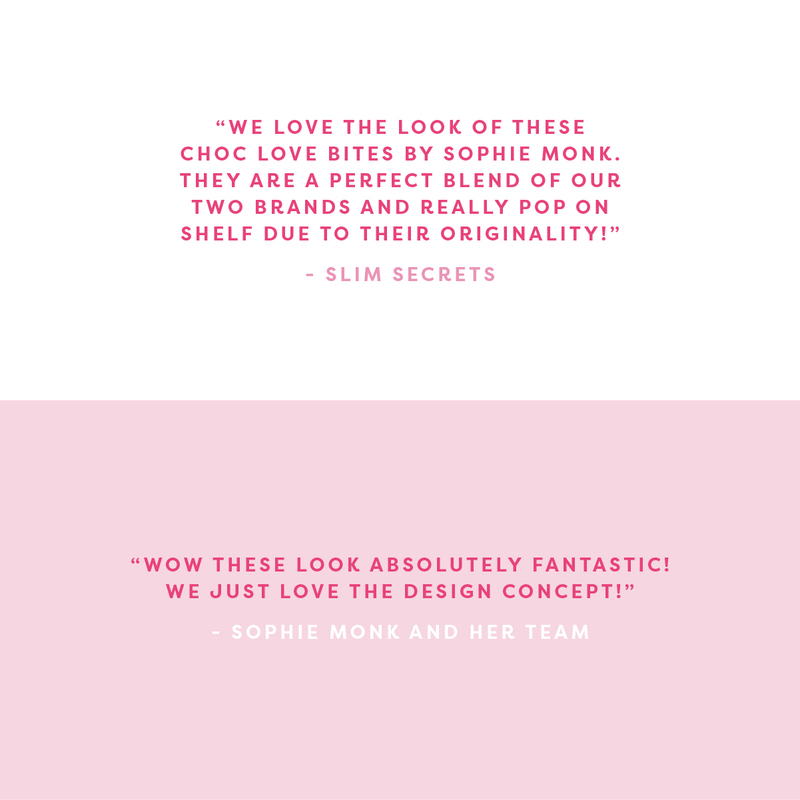 The result was a fun and vibrant pack design that clearly communicates the collaboration between the two brands, Slim Secrets and Sophie Monk, and is different to anything in the category. The feedback from Slim Secrets and Sophie’s team was overwhelmingly positive. Pick one up at your local Chemist Warehouse if it hasn’t already sold out!